Convert a selection of images into EPS. Is there a better alternative to Contenta Images2EPS? Is Contenta Images2EPS really the best app in Illustration category? Will Contenta Images2EPS work good on macOS 10.13.4? 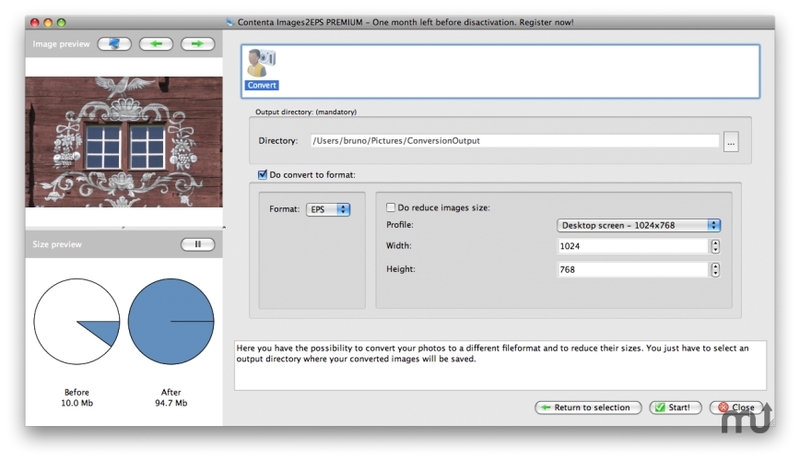 Contenta Images2EPS is a batch conversion solution: convert a selection of images into EPS. Optimized for multi-core processors. Speed up your conversions by using 100% of your CPU.Get one year of update protection and technical support with the purchase of a license. Version 6.3: Release notes were unavailable when this listing was updated. Contenta Images2EPS needs a review. Be the first to review this app and get the discussion started! Contenta Images2EPS needs a rating. Be the first to rate this app and get the discussion started!